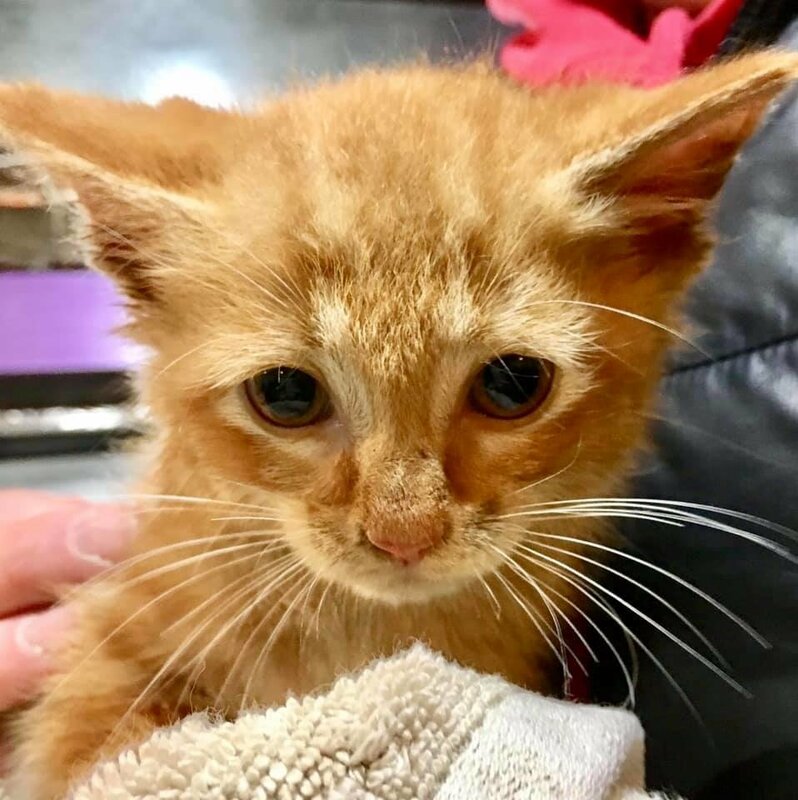 A little ginger kitten wandered into a parking lot and gave rescuers the runaround when they tried to save him. 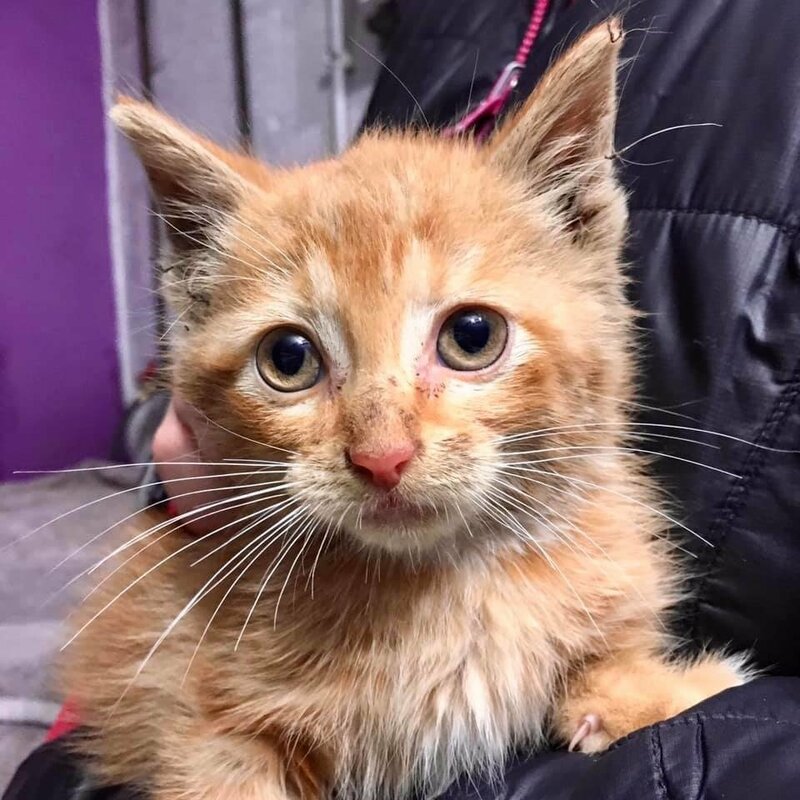 A few days before Christmas, a sharp-eyed volunteer of Alley Cat Rescue (in Mount Rainier, Maryland) spotted a tiny ball of fur wandering around the front of their building. When they went outside, the kitten immediately fled and took refuge in their spay/neuter transit van. 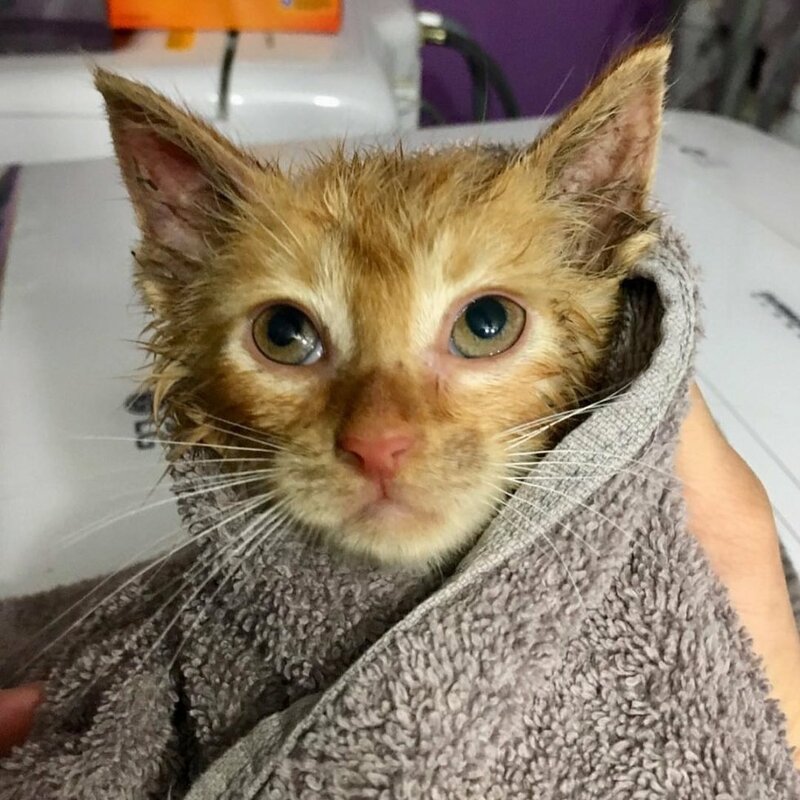 “He led us on a chase all the way around our block and then back to our lot where he picked the van to hide in,” Alley Cat Rescue shared with Love Meow. The kitty proceeded to crawl into the vehicle’s engine compartment and refused to come out. They found a small bald spot on the back of his right ear, but other than that, he came out of the engine unscathed. 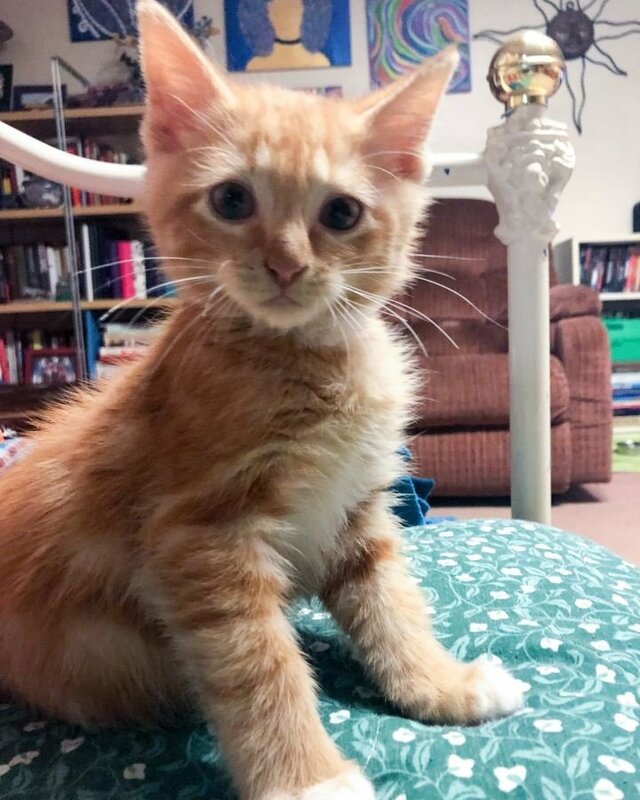 They named him Waffles and brought him to his foster home so he could begin socialization. The ginger boy was a bit shy for the first couple of days. 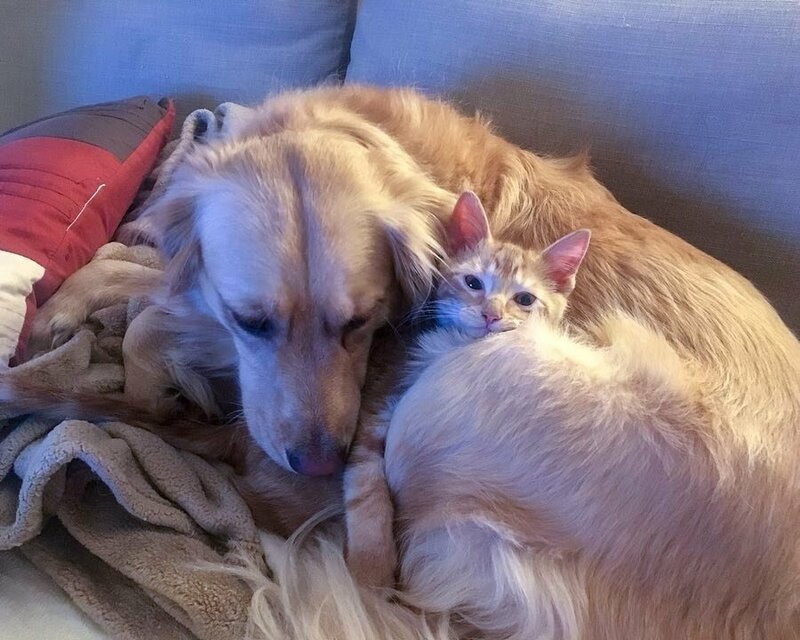 He spent most of his time in his hiding place until one day, he met the family dog. His guard started to come down, and then he decided it was time to snuggle. 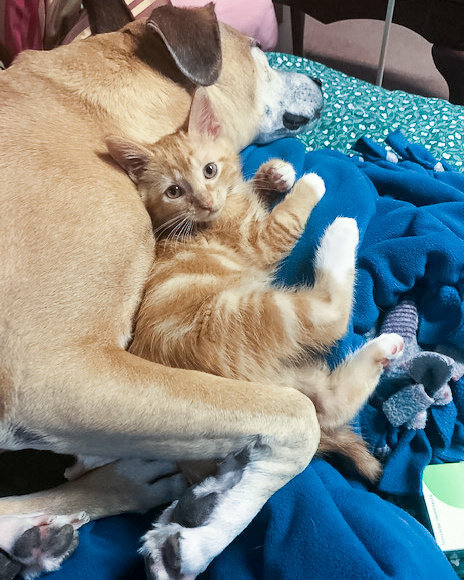 “It did not take him long to come around — a week or ten days later, he bonded with the puppy at the fosters’ house,” Alley Cat Rescue told Love Meow. 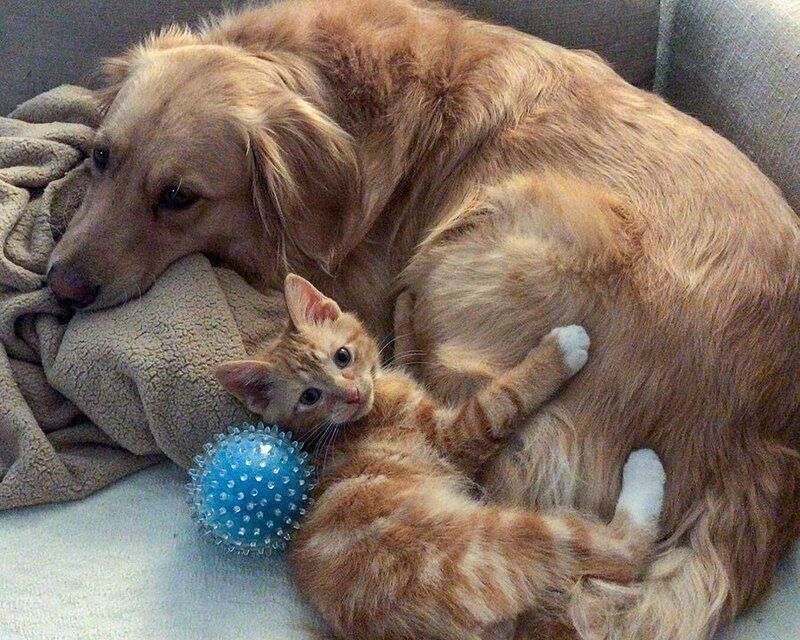 The kitty sought comfort from his canine friend. As he became more confident each day, his personality began to shine through. Over the next few weeks, Waffles grew by leaps and bounds and his energy tripled. He was rambunctious and extremely playful. 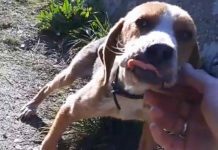 “He is energetic and friendly and has shown the courage to snuggle up to any dog, no matter how big,” the rescue added. When Waffles was ready for his next chapter of life, they knew, deep down, that they wanted to find him a home where he could build a life-long bond of companionship with a canine buddy. 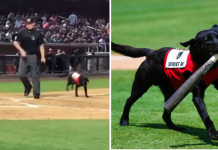 A month after he was rescued from the parking lot, his dream came true. 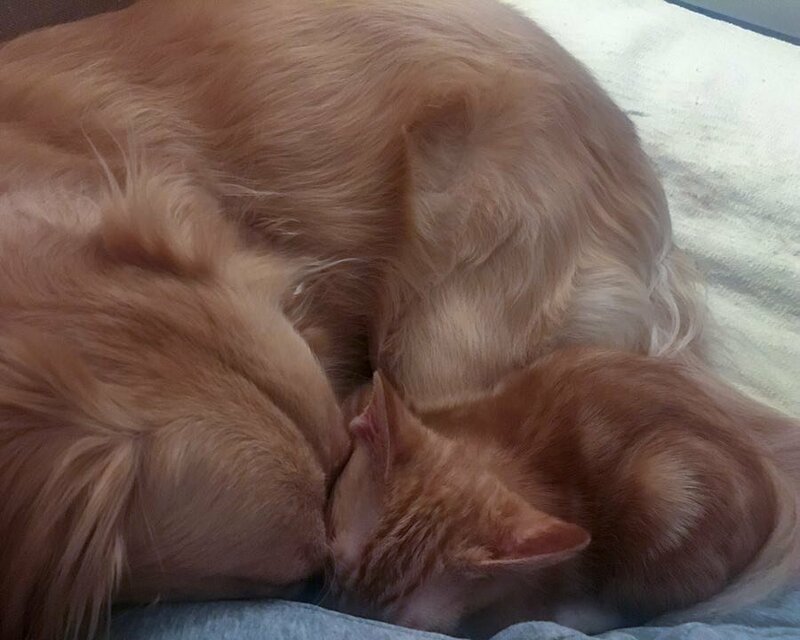 A family was looking to find their Golden Retriever a little feline companion. 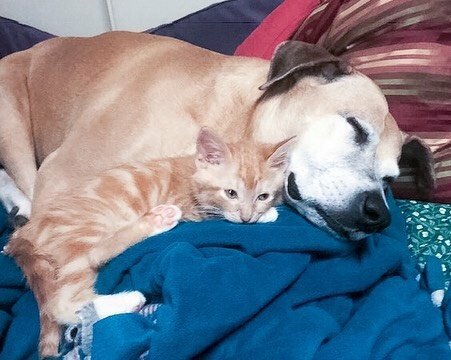 The rescue knew right away just the perfect match for them. Waffles went home that day and met Sparky the dog. 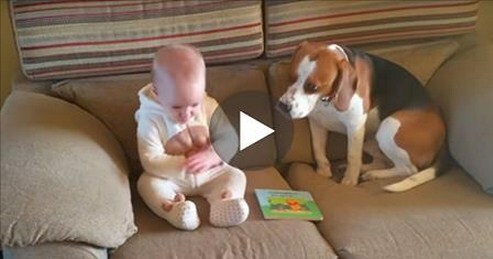 The two became instant best friends. 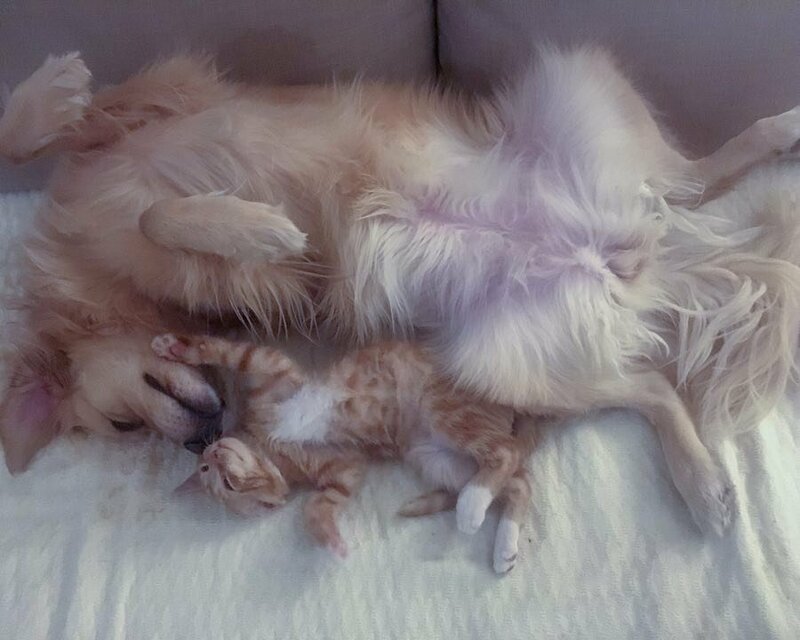 The kitty insists on cuddling with Sparky whenever he naps and follows him everywhere around the house. Sparky adores his feline brother and showers him with love. “When it’s cold, raining and snowing our car engine bays and wheel wells look like warm and dry shelter to cats, so give a few taps on your car before you start it up. It only takes a second and you might just save a life,” Alley Cat Rescue said. Now, Waffles can snuggle comfortably in his buddy’s arms – no more roaming the streets in the cold. The kitten was found in the right place at the right time. “He thought climbing up into a car engine in our lot would keep him out of our caring hands. Nope,” the rescue said. 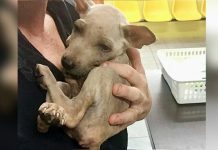 They got him out of the van and set him on a journey to finding his perfect home.